Chapter Four of Classic of Tea (Cha Jing 茶经) is the longest chapter in this treatise and is devoted to all the utensils used in the brewing of tea. I guess this makes it the most relevant chapter to most of us today. Lu Yu lists 25 pieces of utensils in this chapter, which I will translate from the original, ancient Chinese text in several separate blog posts. 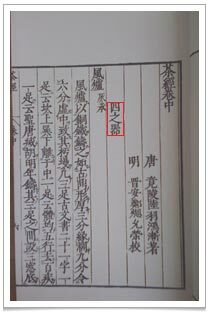 Lu Yu starts his list with a “feng lu” (风炉) or draught/wind furnace made by himself. It was made from copper or iron and shaped like an ancient “ding” (鼎) which is a three-legged cooking vessel with 2 handles (it traditionally symbolised power and authority). He does not give the exact measurements for the furnace but he does provide the proportions. He says the furnace walls should be 3 parts thick with an overall width of 9 parts leaving an opening that is 6 parts wide. The open base is sealed with mud, thus creating the vessel. The feng lu had 3 legs, each having an engraving of 7 characters. One leg bears an inscription involving 3 of the elements of the “ba gua” (八卦). The ba gua is an octagon, incorporating eight geometric shapes, used in Taoist cosmology to represent the fundamental principles of reality. The ba gua is an essential tool for the study and application of Feng Shui. Each of these shapes consists of three lines, each line either “broken” or “unbroken,” representing yin or yang respectively. Due to their tripartite structure, they are often referred to as “trigrams” in English. Lu Yu position 3 of the trigrams with “kan” (坎) or water sign on top, “li” (离) air/wind sign below and “xun” (巽) fire sign in the middle. On the second leg, Lu Yu extended from the ba gua and the Taoist concept of “wu xing” (五行) (the five elements i.e. fire, earth, metal, water and wood acting as a ancient mnemonic device for describing the two cycles of life: generating/creating and overcoming/destroying). The engraving tells us that our body is subject to the wu xing and, if we can achieve a balance, a hundred diseases will go away. The last leg bears the year in which Lu Yu made the feng lu. He does so by citing the year after an incident in which the Tang emperor overcame the rebel Hu people (a Tartar/Mongol ethnic group). This occurred in 763AD and his feng lu was made the year after that. Lu Yu then describes how in-between the three legs are three little air holes. On each of these holes are 2 characters, making a total of 6 characters. The first 3 characters are “Yi Gong Geng” (伊公羹) and the other 3 characters are “Lu Shi Cha” (陆氏茶). Geng is a thick soup. Yi Gong refers to a prime minister during the Shang Dynasty (1600-1104BC) who was really good at making soups in a ding. “Cha” refers to tea and “Lu Shi” simply means Mr. Lu (i.e. himself). What Lu Yu has cleverly done here is to compare his skill in making tea to the cooking skill of Yi Gong. Both of them use the ding as cooking apparatus. Now, we might be surprised by arrogance of Lu Yu but he was very popular amongst royals, socialising with them and making tea for them. So for him to engrave that on his feng lu suggests to me merely that he is justifiably confident about his tea making skills! 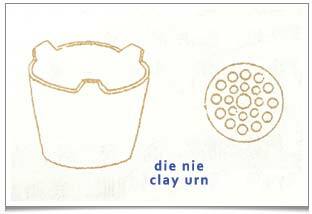 According to Lu Yu, a clay urn “die nie” (墆嵲) is placed inside the feng lu to hold the charcoal. There are 3 perforated shelves inside the die nie. 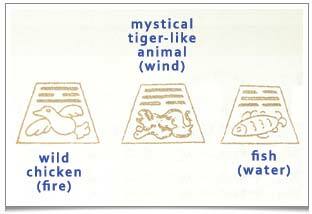 The perforations take the forms of a wild chicken (symbolising fire), a mystical tiger-like animal (symbolising wind) and a fish (symbolising water). Accompanying these animals are their corresponding ba gua trigrams, representing fire, wind and water. Lu Yu says wind can “flame” a fire and a fire can “boil” the water and that is why these symbols are required. What he is trying to convey is that the boiling tea embodies the natural laws of reality; that, rather than going against these natural laws, we should make use of each element’s attributes for our own benefit. Then Lu Yu moves on to the external decoration of the feng lu. He says that it can depict flowers, trees, flowing water and other types of pictorial imagery. The body of the feng lu can be made from iron or clay. The feng lu also comes with a “saucer” that has 3 legs and is useful for collecting any ashes. The feng lu design or an echo of it can be discerned in the stove and kettle design used in the Japanese tea ceremony. So it is likely that along with tea and Buddhism, Japanese monks brought Lu Yu’s design of tea brewing utensils back home with them. Lu Yu spent wrote quite a lot about this feng lu that he has made himself. One can see from his design that he is well educated in the daoism and lead a life embodying these principles. I will cover the remaining items listed in this chapter in the new few blogs. 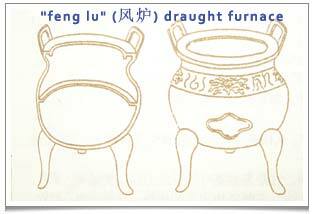 Lu Yu made this three-legged draught/wind furnace (“feng lu” 风炉) taking inspirations from the ancient “ding” (鼎) cooking vessel with 2 handles. “die nie” (墆嵲) is a clay urn that Lu Yu placed inside the “feng lu” to hold charcoal. Three shelves inside the “die nie” with perforations taking the forms of a wild chicken (symbolising fire), a mystical tiger-like animal (symbolising wind) and a fish (symbolising water). Accompanying these animals are their corresponding “ba gua” trigrams, representing fire, wind and water.